It’s hard to trace a sale back to any single action—your online submission form, your social media activity, a face-to-face meeting, a video conference. Every component of marketing and sales comes together somehow, and then we convert prospects into happy customers. Most psychologists believe that attraction and curiosity are emotions. They are spontaneous. Humans are not aware of that spark, that moment when our jaws drop open and we lean forward with interest. Emotions are only sparked with simplicity. Something strikes us in the heart, even more than the head, and we become curious… desirous. Bang! The hook has been set. Your prospective customer is convinced, at least initially, and wants to learn more. …we usually have to then address other issues. By nature, most sales become more complex in the middle and latter stages, so one simple message does not a deal maketh. Probably the most underrated trust-builder in life and the most persuasive skill in sales is listening, especially in the middle stages. The most persuasive way to listen is to ask killer questions! You must be prepared to open a first engagement with a prospective customer. You shouldn’t, however, open with the purpose of presenting more material, but to confirm in the prospect’s mind that her time is well-spent by having a helpful conversation with you. The purpose of opening a first meeting, therefore, is to earn the right to ask questions. I’ve developed a five-step questioning model for asking the right questions at the right time and for pulling the buyer through their purchase. The benefit of SCOPE Questions is that they get the conversation going. The danger is that they can alienate the buyer. Use SCOPE Questions economically. Plan them judiciously. With CHALLENGE Questions, you’re not challenging the customer, but you’re asking them about their challenges… in areas where you can add value, of course. CHALLENGE Questions are the raw materials from which sales are made. They uncover the diamond in the rough. Spend time here. Actively listen and go deeper. Resist the temptation to offer a solution the moment you hear the Challenge. Show the love, and go deeper. There’s a lot of talk about “buyer pain.” But customers may not take immediate action if the pain grows a little every day. It doesn’t feel acute. With RETURN Questions, you focus the customer on the positive Returns of working with you, or perhaps going to the next step. Essentially, by answering this, the buyer will present you with your value proposition, which you can use in your proposal. You know your business. You know your value-add for your ideal customers, so you can fill in the rest of the RETURN Questions above. Great! (Be ready to answer that!) If they’re not ready to move forward, they’ll tell you why, and you can move into handling objections (subject for another post). But often, objections are usually great buyer signals. They just need to see a bit more light and feel a bit more love! The beauty of questions is that the answers come out of the customer’s mouth. They will believe them! You telling them is simply less persuasive… and it’s pushy. Pull your customers through the middle and latter stages of their purchasing cycle. Pull them into your funnel with simple, compelling messages. 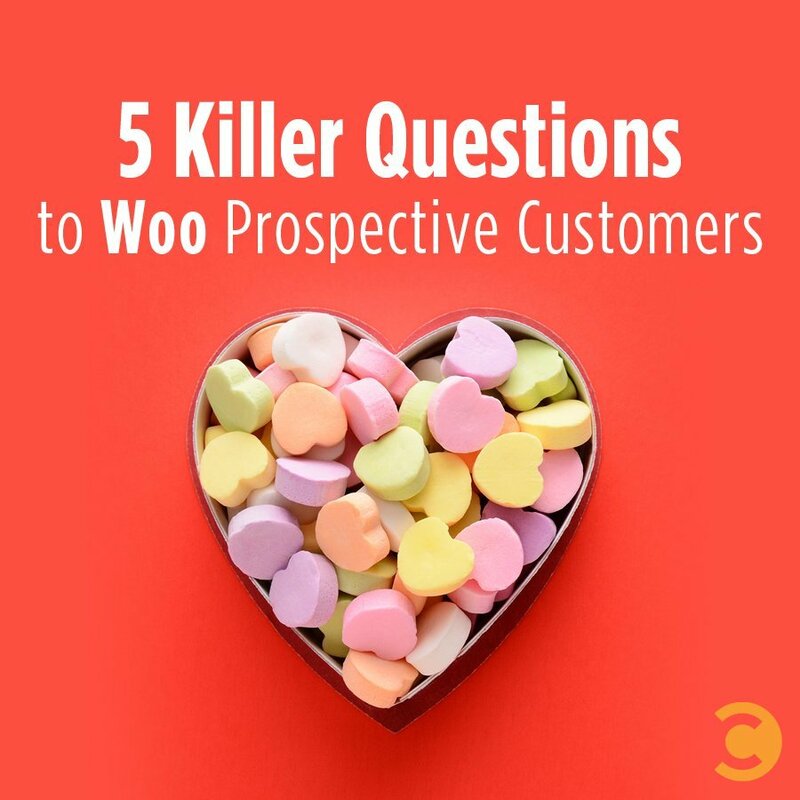 Then go deeper in sales with killer questions. What killer questions did you wish you asked your last customer? What type of questions have you found work best on your social properties vs. in person? Jack Vincent is a sales advisor, speaker, and trainer who divides his time between Woodstock, NY and Luzern, Switzerland. His book, “A Sale Is A Love Affair – Seduce, Engage & Win Customers’ Hearts” is now available on Amazon. Purchase by February 7th to receive the introductory price and bonus content: a 25-minute audio workshop "How To Ask the Right Questions to Engage and Convert Your Prospects." Subscribe to his blog at www.JackVincent.com.